Ever so often we come across situations or moments in our life that we want to cherish for the rest of our lives. Only if life could hold still for some time and let you soak in all its glory. The Canon EOS Rebel T3i lets you do just that. This beautiful camera from Canon is what every photography enthusiast wants. Launched in early 2011, the Canon EOS Rebel T3i which is also called the EOS 600D has all the qualities of a brilliant digital SLR camera but still maintains an affordable charm about itself. This entry level camera has some improved features than its predecessors and will surely make budding photographers look like pros. 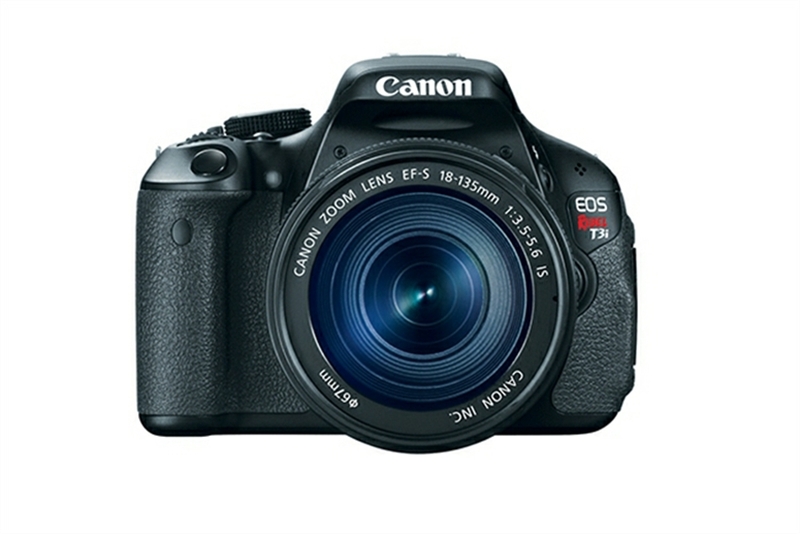 The best feature about the Canon EOS Rebel T3i is its It’s easy to use interface which is a major hit amongst its users. The brilliant DIGIC 4 processor is the heart and soul of this camera. It allows users to capture some crisp images with the help of fast camera operations all thanks to its fast processor. The Canon EOS Rebel T3i also includes an 18 MP CMOS sensor; which captures high quality images with wonderful resolution and speed. This top of the line image sensor is also a standard in many professional SLR models so that you will get a feel of how professional photographers work their magic. The Rebel T3i will deliver high quality photos every time, thanks to its high megapixel count even amateur photographers can now show off their amazing photos and wow people. The scene intelligent auto mode is one shooting mode option that enables users to use this camera smartly. This mode will set image exposure and other image enhancing techniques automatically to give the best results every time. Apart from being a stand out still camera the Canon EOS Rebel T3i is also superstar when it comes to its video capturing capabilities. You can record videos in full HD; with its 3-10x zoom, clarity will never be an issue. The sound levels in the video recording are also set automatically using it’s built in stereo sound meter. The Rebel T3i with all its advanced features is a must have for all those people who are looking to enter the beautiful world of photography. With this feature packed camera on your side nothing will ever come in your way to taking some amazing photos. Its ergonomically designed body makes it one of the easiest cameras to work with and its light weight makes it very comfortable to carry around anywhere, so no more missing your camera when you need it the most. The Canon EOS Rebel T3i is tailor made for startup photographers who wish for all the features of a brilliant camera but do not know how to use all of them. The Rebel T3i takes care of it. A true value for you money, it will be a very good investment if you are looking to make inroads into the world of photography. So do yourself a favor and buy the Canon EOS rebel T3i, start clicking some amazing pictures immediately and soon you will discover the hidden photographer in you.